Nathan B. Stanley, born Jan. 14, 1829 near Wayneborough to Tiercy West Loftin Stanley of Craven County and Jesse Stanley of Wayne County. Nathan was a carpenter by trade and help to build most of the houses that were in Wayneborough until he helped to move a number of them to Goldsboro to be placed on higher ground. It is very hard to pin point exactly when Nathan starting making caskets for the Goldsboro community, but you can find received in Estates Records where he was paid for making a casket as far back as the early 1850’s. About 1865 Nathan B. Stanley was making caskets in a shed behind his house 300 South Center Street under the name of Goldsboro Undertaking Co. He had a cover wagon that he would deliver the caskets to the individual’s house and subsequently he was asked by the family to come back the next day to take the casket from the house to the cemetery. 1872 the demand for caskets became so large that he then opened the Goldsboro Coffin Co. and taking advantage of Goldsboro being a railroad stop town, he began to ship coffins and caskets on the train to community in nearby counties. Nathan and his wife Sarah Anne Elizabeth Crawford had three sons, William Knox, Jesse West, John E. and two daughters, Annie and Sallie. William Knox Stanley was a bookkeeper. Jesse West Stanley worked with his father at Goldsboro Undertaking Co. John E. Stanley worked with the railroad and later was a salesman for a local Furniture Store. Annie Stanley married Charles E. Haskett, she and her husband and father-in-law D. P. Haskett went into the funeral business against her father. Sallie Stanley married Peter A. Inman of Columbus County. 1875 Nathan B. Stanley married Elizabeth A. “Lizzie” O’Brian a local school teacher. After Nathan died in 1884 without a “Will,” all his funeral home equipment and caskets, coffins and vault inventory went to his wife Lizzie. His son, Jesse West Stanley traveled as a road salesman of embalming chemicals and he also gave classes to those who were interested in embalming, he was never in Goldsboro to help his stepmother with the funeral business. 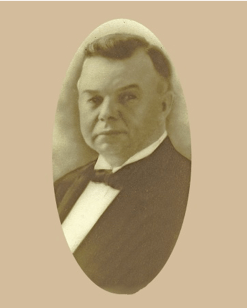 Jesse West had one son, “Carl E. Stanley” and he began at every early age of helping his grandmother Lizzie, with the funeral business and embalming as his father had taught him. 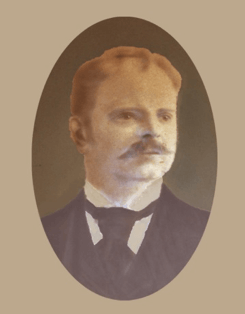 On May 27, 1887 Jesse West Stanley received his degree in Embalming under Joseph Clarke who later founded Cincinnati College of Embalming and he became the first license embalmer in Wayne County, NC. He was a salesman for Scientific Chemical Company, who office was in the National Bank Building, 302 S. James St., Goldsboro. He traveled the Southeastern part of the United States by train, giving lectures and demonstrations on embalming working closely with Cincinnati College of Embalming and Scientific Chemical Company. Jesse West was always secured as one of the speakers at the States Funeral Direction Association Convention. On June 30, 1904 in “The Atlanta Constitution in Atlanta, GA” there is an article on The Georgia Funeral Directors Association meeting at the Piedmont Hotel, Atlanta, GA. stating that Jesse W. Stanley made an “Extemporaneous” address to the Convention. Jesse West Stanley was known for his expertise in Embalming and Restorative Art. He taught a number of persons in the Goldsboro area how to embalm. One person who he taught and carried on his tradition was his son Carl E. Stanley. 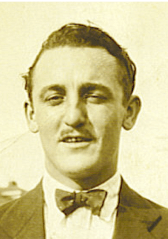 1898 – Carl Eppy Stanley, Sr. was elected Corner of Wayne County at the age of 18. He brought the assets of Goldsboro Undertaking Company from his step-grandmother and moved the business to 208 E. Walnut Street where he had room for embalming, a casket show room, a small chapel and office. May 25, 1901 he attended Cincinnati College of Embalming and on September 23, 1901 he was license to Embalmed in the State of North Carolina. He was selected by the North Carolina Board of Health to be one of the three founders members of the North Carolina Board of Embalmers. The purpose of the North Carolina Board of Funeral Service (as it is called today) is to safeguard the public health, safety, and welfare of North Carolina citizens by ensuring that those individuals and entities licensed for the practice of funeral services in this state are duly qualified. 1902 – Carl E. Stanley, Sr. change the name of the company from Goldsboro Undertaking Company to Carl E. Stanley & Sons Funeral Home. His sons were Carl E. Stanley, Jr., Francis W. Stanley, Turner A. Stanley, Jesse W. Stanley and John A. Stanley. 1925 – Francis W. Stanley attended the Cincinnati College of Embalming. On May 12, 1926 he was licensed to Embalm by the State of North Carolina. Just as his father and grandfather he was an expertise in embalming and restorative art. He had a very unusual hobby, he loved to carve small wood figurines. He carved a complete set of the Ringling Brothers, Barnum & Bailey Circus complete with bleachers, animals, trapeze artists and spectators looking as if they were having a great time. 1936 – The Stanley family was having a very hard time during the depression keeping their funeral home open. 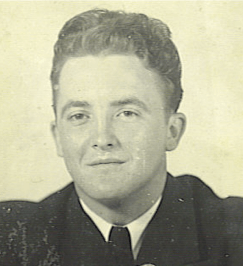 Francis W. Stanley turned to the Yelverton Funeral family in Fremont for assistance. Ralph A. Yelverton deposited money into the Stanley Funeral Home account to help keep them in business and in 1938 they incorporated under the name of Stanley-Yelverton Funeral Home, Inc. and moved the business form 208 E. Walnut Street to 203 W. Chestnut Street at the corner of James Street. Ralph A. Yelverton was President and Francis W. Stanley was Sectary & Treasurer. July 1898 – Ivey Leroy “Bunn” Yelverton founded the Yelverton Undertaker Co. on Main Street in Fremont. He began selling coffins & caskets out of his General Merchandise & Furniture Store. In 1919, he turned his business over to three of his sons and they changed the name to Yelverton Brother’s Funeral Home. Paul, Ralph and Oscar, they were so compassionate and understanding to the families that called on them to buy a caskets that the public starting asking the brothers to do more and more for them so they found themselves in high demand to meet the needs of the community. 1920 – Paul Yelverton moved to Wilson and went into business with Jesse W. Thomas and Mr. Martin under the name of Thomas-Yelverton Funeral Home. 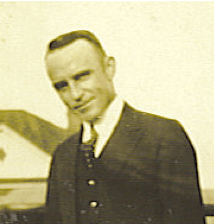 1932 – Paul Yelverton moved to Raleigh and he and Mr. Martin opened the Martin- Yelverton Funeral Home in Raleigh. 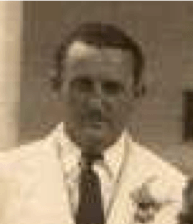 1937 – Ralph Yelverton was in the business with the Stanleys in Goldsboro. 1938 Ralph Yelverton and his first cousin Carl Gurley went in business in Princeton and open the Gurley-Yelverton Funeral Home, 301 South Pearl Street. They closed this business in 1941. This left time for Ralph to concentrate on his business in Fremont and Goldsboro. 1946 – A law suit over an ambulance accident 1946 Ralph Yelverton and Frances W. Stanley severed their business ties and went their separate ways. Oscar Yelverton stayed in Fremont to look after the family funeral home with Ralph and his wife Elmira while his brothers were venturing their funeral homes out to other surrounding towns. But, after the death of his brother Ralph Yelverton in 1958, Oscar began selling hearing aids in Raleigh. Bunn Ray Yelverton started to take care of the family business when his father began to get sick in 1956. He and his wife Doris Vail Yelverton along with his uncle Oscar cared for the deaths in the Fremont community. 1962 -Bunn Ray & Doris restored the Adrian Bogue residence, 306 East Main Street, Fremont and moved the funeral business from the General Merchandise Store downtown. Doris Vail Yelverton was the first woman in Wayne County to become a licensed funeral director. From the time that I was young, I, Elliott R. Futrell, knew I wanted to be a funeral director. In the 8th grade at Eureka School, we lost a classmate and I was asked to be a pallbearer, but when I got to the church all of the pallbearer positions had been filled. I felt disappointed and Bunn Ray Yelverton noticed and being the compassionate person he was, he found a new position for me. He asked me to help him at the end of the service, by rolling out the casket with him. From this moment, Bunn Ray let me be a part of the funeral business. Even though I was young, I tried to help Bunn Ray. I rode in the flower truck with the flowers, helped his mother Elmira set up the church for services and assisted Bud Applewhite the grave digger with hauling the flowers from the church to the gravesite and also setting up the equipment to fill in the grave. Like his father, Ralph Yelverton, Bunn Ray Yelverton took care of families and their funerals embraced compassionate, sympathy and understanding. The Yelvertons’ could make a funeral run like clockwork with no pressure. Ralph Yelverton and Elliott Futrell grandfather William Arthur Bogue were cousins. 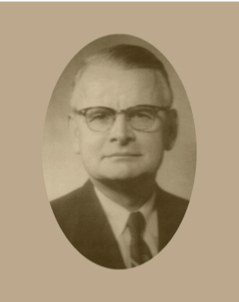 1971 – Elliott R. Futrell – Founded Futrell Funeral Service Inc. at 107 North George Street, Goldsboro. Elliott served his internship in Durham at Hall-Wynne & Co. and was graduated of Cincinnati College of Embalmer & Funeral Service. On November 24, 1976, Elliott R. Futrell bought Yelverton Funeral Home, 306 East Main Street, Fremont, who had been in the funeral business since 1898. 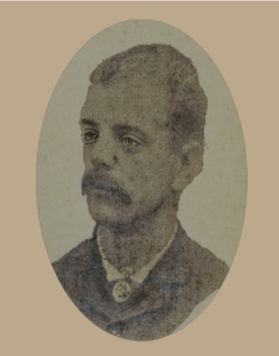 In Fremont he operated under the name of Yelverton – Futrell Funeral Service. On August 15, 1978 Elliott R. Futrell bought Ormond – Worley Funeral Home, 105 East First Street, Princeton, which was formally the Pittman Funeral Home and operated under the name of Futrell Funeral Service. 2007 – Elliott R. Futrell, Elizabeth A. Futrell & Jonathan M. Lane – Founded Evergreen Memorial Service on Hwy 70 West of Goldsboro at Evergreen Memorial Cemetery which they already owned. They wanted to offer a funeral service at a fair price with outstanding service. In 2017 they change the name to Evergreen Funeral Home, Cemetery & Cremation.